Golf YOUR Best update: We want to welcome Professional Golf Instructor Ryan B. Thomas to our team. He comes to us from Championsgate CC where he served as Head Professional for the past 9 years. To learn more about Ryan please visit our website...Welcome to The Villages Ryan! This week Ryan will be instructing the topic: Sand. During this one hour clinic you will learn and apply the proper grip, posture, ball position, and swing motion of the sand shot. Please bring your sand, gap or lob wedge to the clinic. Ryan's short game clinics are normally offered on Friday and Saturday at 8am and 10am. NOTE: This week only: The sand clinic will be offered on Friday at 10am and again at 11:30am. 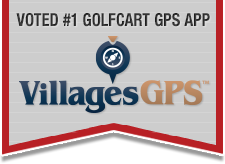 Thank you and we look forward to helping you Golf YOUR Best! GYBI has had numerous requests for Ryan's Short Game Clinic to be offered during the week! Please let us know what time works best for YOU and we will tailor a short game clinic to YOUR needs. I have been taking lessons from Sandra Chester for a couple years now. Whenever I go back for a "tune up" she immediately spots what is causing me difficulty with my golf swing. She never forgets my swing and always helps me to improve. Whether you are a new golfer or an experienced player she is the best instructor in the area. I just finished my last lesson with Sandra and hated to see it end. Whether you're a new beginner or have played over 50 years like me, Sandra will be able to give you a tuneup or a complete overhaul. Her knowledge of the game, her teaching style geared to each individual, and her attention to detail, can't be beat. I will definitely return for additional tweaks to my game as needed. Thank you Sandra; you're the BEST!! Check the Golf Your Best website for details. $99 Fabulous Fall Special is extended through December! NOTE: Offer is available for purchase December 1 - 31, 2015 - lessons expire 60 days from date of purchase. I have been taking lessons from Ryan. My husband and I are both extremely happy with Ryan's teaching and executing lessons. Ryan is a wonderful teacher for men and women. Personalized lessons to help you Golf Your Best. Not one lesson for all!! If you have done lessons before, you may want to try lessons now from the best instructor. Ryan and Sandra. Also try the driving range, hitting off the grass, no mats. I took the weeklong Newcomers Ladies golf lessons with Sandra in October and it was fantastic. She is an excellent instructor, very patient, and funny! I highly recommend her to all newcomers to golf (women especially), and anyone wishing to improve their techniques. I heard that Golf Your Best just moved to Continental Country Club (Rt 44) near Brownwood. I took a golf clinic from Sandra when the school was located on 301 in Oxford .... it was great and my chipping has really improved! Now that she is just outside Brownwood, it's a lot closer for me so I'm going back to take more of her clinics.